IMI Orton is an Italian Company located in Piacenza, in the northern part of Italy. 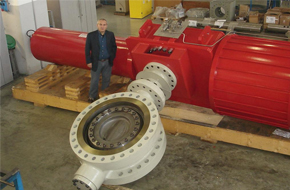 Established in 1963, it is nowadays an international leader in the manufacture of triple offset metal-seated valves, large diameter butterfly valves, rubber lined valves, for on-off and control service required in several markets such as Oil & Gas, LNG, Petrochemical, Refining, Power and Desalination. IMI Orton’s experienced engineering and production team is regularly trained and it is providing full support in designing excellent customized solutions to meet the most demanding technical specifications. IMI Orton products are achieving the highest efficiency and safety standards in critical applications under the most severe operating conditions. The range of IMI ORTON valves stocked are from 2” (DN50) up to 42” (DN1050), available in various pressure classes, from ASME Cl.150 up to Cl.600. 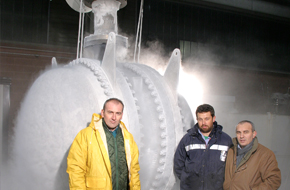 The range includes valves in Low Temperature Carbon Steel, Super Duplex and Stainless Steel material. RPV are also holding a stock of IMI ORTON Butterfly Valves for cryogenic service up to 36” (DN900).